How do I build up a bilingual Snapchat account? 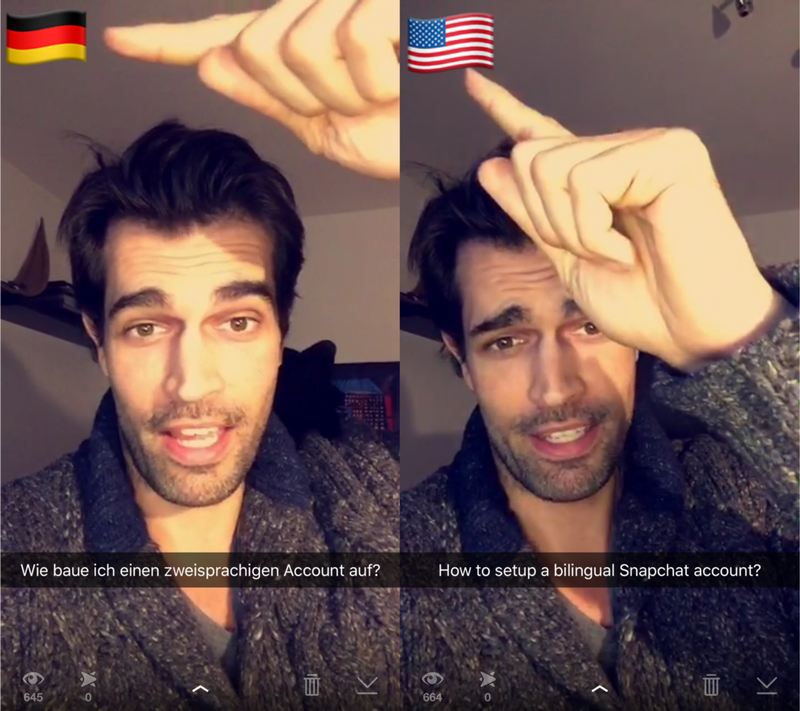 How to setup a bilingual Snapchat account? As you might know, I have been using Snapchat for a couple of months now. I love it as it is an excellent tool to share my daily stories with the world. So far, I have always been talking in English, but two incidents this week have changed my way of communicating with my followers in the future. I add a country flag in the corner of each snap so people instantly know in which language this snap will be. They can watch it or with one tap on their screen they can just skip that snap until I talk in their language. It´s easy and convenient, and my followers love it. What do you think about it? Feel free to leave me your comment below, and if you want to communicate in two or more languages, give it a try. It´s all about personalization, and adding the right country flag is a transparent and comprehensible way to save time for your viewers. 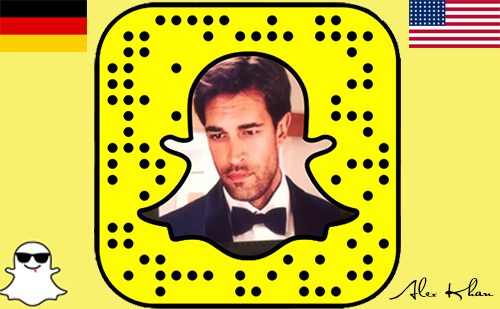 You find me on Snapchat at alexkhan1. Alex Khan is a serial entrepreneur, speaker, editor, and social media mentor. He builds strategies for brands and helps people tell their story via social media. Find him on Periscope periscope.tv/1alexkhan , visit him at www.alexkhan.tv and follow on Twitter https://twitter.com/1alexkhan.